MBS. 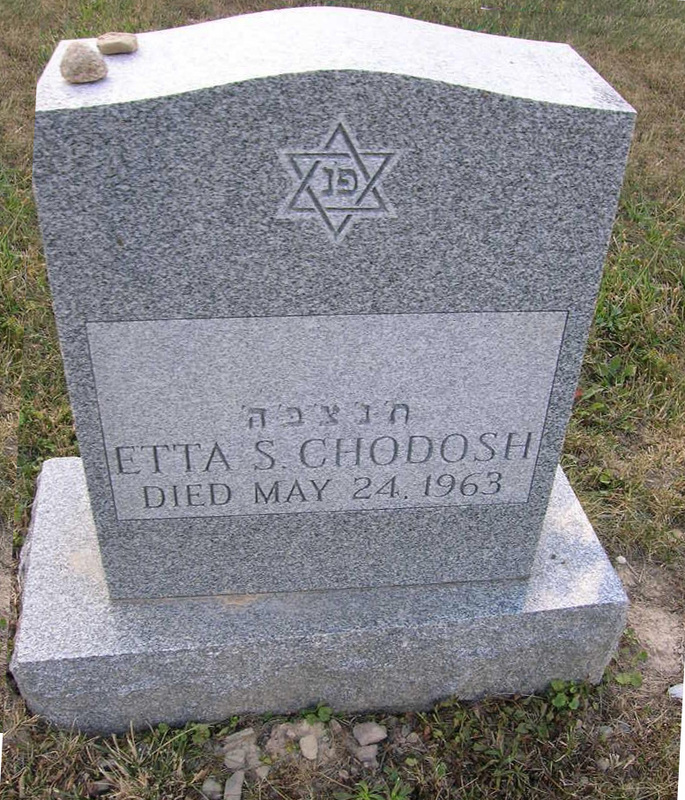 ETTA CHODOSH of 1103 E. Genesee St., a native of Russia and a Syracuse resident 55 years died yesterday after a lengthy illness. Surviving are two sons, Harry M. Chodosh of Rochester, Clarence R. Chodosh of Livingston NJ, five daughters, Mrs. Julius Spelek. Mrs. Harry Glickstein, both of Syracuse, Mrs.
Robert Kirby of East Syracuse. Mrs Philip Dloom of Rochester, NY, and Miss Sarah Chodosh of Syracuse, nine grandchildren and two great-grandchildren, Services will be at 10:30 a m tomorrow at the Birnbaum Funeral Home. 1907 E Fayette St. the Rabbi Irwin I Klyman and Cantor Harold Lerner officiating. Burial will be in Adath Yeshurun Cemetery. Friends may call at their convenience at the home of her daughter. Mrs Glickstein, 338 Delray Ave.